Are you developing wireless sensor network? Do you want to check on the energy consumption, delay of connection or validate the quality of your communication protocols? FIT IoT-LAB allows you to do it quickly and easily. First, Matthieu Berthomé and Julien Vandaële, research engineers in the team FUN, will give you the presentation of the experimentation plateform @FIT_IoTLAB, then, they will animate a practical workshop. Whether you’re from industry, small business, research or education, gain agility with a faster #prototyping and lower cost on your #IoT applications with FIT_IoTLAB. 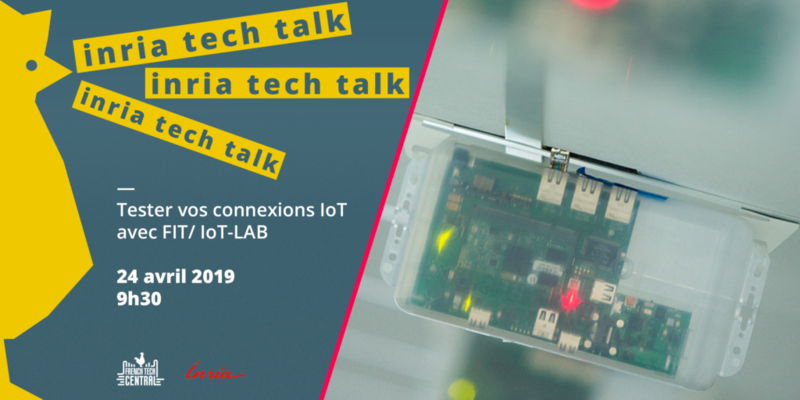 9:30 : Tech Talk : Presentation of FIT from the university Pierre et Marie Curie, Inria, the CNRS, l’IMT and university of Strasbourg. FIT IoT-LAB, his equipment, and different services. Why? Which experiences? Examples of experiments carried out. 10:10 : Networking with a cup of coffee. 10 :30 : Complulsory registration. Come with your charged laptop chargé and deploy your first experience on FIT IoT-Lab.